Learn how to reach out with messages and emails that prospects will actually read. People send over 215 billion emails every single day, and that doesn’t include the billions of texts, tweets, pins, tags, InMails, notifications, tumbles, snaps, and myriad other ways people message each other around the clock. Your initial sales message is up against a lot of competition. One mistake—a typo, a fumbled greeting, any misinformation—is all it takes to be ignored or discredited. Don’t squander your one shot to make a great first impression—and eventually, a great sale. Steer clear of the following classic email blunders and set yourself apart from the spam. A lot of companies seem relaxed, but it’s still the wrong move to open a sales outreach message with a casual greeting like “Hey.” Err on the side of professionalism, because the downside of misjudging the tone of your message is huge. You aren’t reaching out to an old college buddy; this might be your only chance to land that next big client. Treat every prospect with the utmost respect right from the start, and you set a professional tone for every interaction that follows. You don’t have much time to make an impression in your first email or message. Your initial outreach should be two paragraphs or less, or about five sentences in total. That includes your qualifying information and your ask. That doesn’t leave a lot of room to waste with sluggish language. These are all classic passive verbs that rob your initial sales outreach of the energy it needs to make a great first impression that spurs on further correspondence. In keeping with avoiding the passive voice, your message needs to convey value—and that means providing clear, useful information. Using vague, non-committal words like “some,” “many,” and “most” will immediately turn off a new prospect. “Many of our clients love us” doesn’t mean anything. Worse, it wastes a prospect’s time. Never waste their time. Instead, seize these opportunities and provide specific information—like client case studies or internal reports. Relay data, stats, and specific details and pique your prospect’s interest. Nothing makes you look less professional than using the wrong one. Email preview windows only show about seven words of a subject line, so avoid long drawn out subject lines. Also, never hard sell in the subject line—it seems spammy. 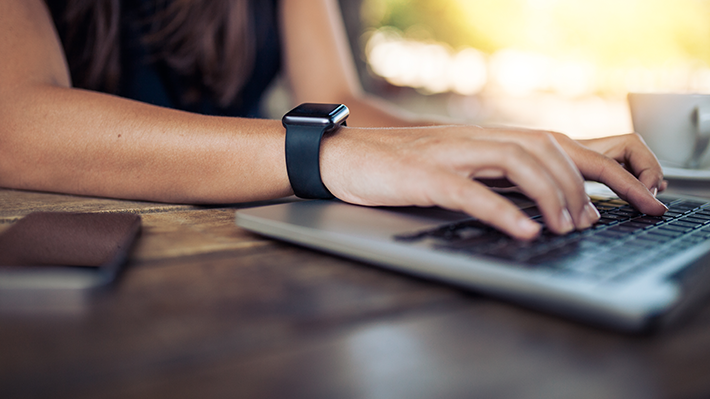 Three-word subject lines perform well according to an email engagement study from SendGrid, but test and retest until you find an open rate that works for you. If you can boil your message down to a subject line with three enticing words, you’re off to a great start. Eliminating the passive voice, using correct grammar, writing compelling subject lines (with appropriate greetings), and providing value through specific declarative statements are just the beginning to becoming an messaging rock star. To make a truly great first impression on your prospects, you have to dig deeper. Who is your target buyer? Do you have any existing connections that can break the ice and help with your initial outreach strategy? Do you know any common influencers or decision makers? What is your target buyer’s main motivation and how can you speak to that? We created a simple Sales Leader Checklist so your sales team can answer these next-level questions before they make first contact. The steps inside will help you craft a comprehensive email outreach and content strategy to foster the trust and communication that gets results. You only get one chance to make a great first impression. Download LinkedIn’s Sales Leader Checklist and make sure you’re prepared to make a winning first impression.